Saveron is the Chief Medical officer on the USS Garuda. He began his career aboard the USS Ronin under the command of Captain Toni Turner back in 2388. Between then and now, he has seen ships launch, introduced his son to the Laudean people, confronted the Borg and acted as chief medic and advisor to a selection of captains throughout the fleet. 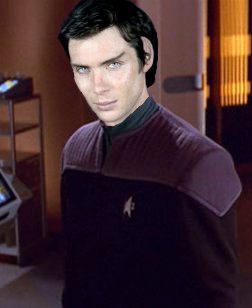 When not in sickbay, he practices Vulcan martial arts, reads and plays music. He is strongly averse to the use of phasers. He is known for keeping a white pet tribble and has a holographic piano! The best advice for anyone visiting his quarters, though, is to wear an EV suit – he likes to keep them at Vulcan humidity, temperature and gravity, so it may not be a comfortable visit otherwise! INTRODUCING A NEW FEATURE: Each month from here on out we will also be announcing the judges’ star pick – the bio that came close to winning the round but was just pipped to the line! 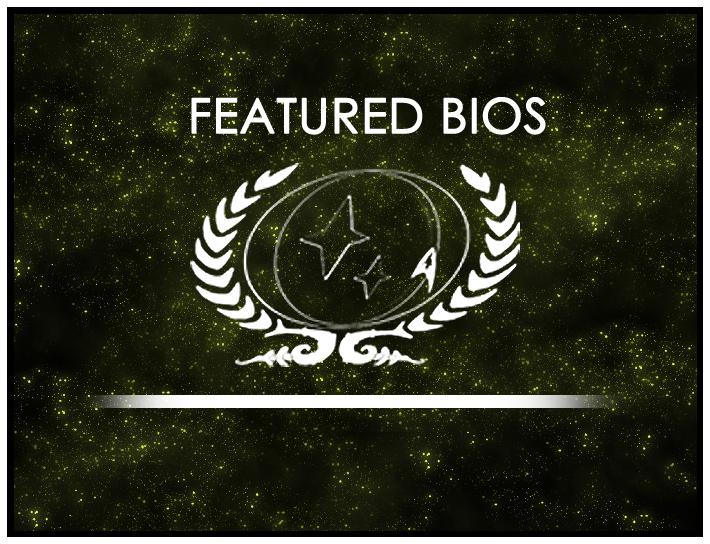 This month, our star pick bio belongs to Fleet Captain Andrus Jaxx, so congratulations to him!! Lieutenant Commander Saveron’s Bio will be displayed on the wiki’s front page for the month of January. As always, you can find out more about the contest at its wiki page or in its forum. Round 3 is now open, so be sure to drop by and submit your own nominations!